In addition to our never-ending search for the newest street style outfits, runway trends, and fashion tips, our list of priorities also includes making sure your Instagram feed is chock-full of the most inspiring snaps. As such, we culled 10 new accounts for you to follow this month. Scroll down for 10 fresh Instagram accounts to follow, and be sure to tune in next month for a new batch! This dynamic duo shares the stylish inner workings of the fashion and beauty website, The Fab Edit. Do you love vintage dresses, cute babies, and stunning models? We’re guessing you do, so follow Petersen ASAP! Aside from her jaw-dropping looks (she’s Italian and Egyptian), her sense of humor makes for pretty much the best Instagram ever. Follow for stunning selfies mixed with imitable accessory shots and wanderlust-inducing snaps. We’ve been featuring looks from this stylish blogger for quite some time now, which is more than enough reason to subscribe to her well-curated Instagram. We’d give just about anything to be as cool as Kim, but we’ll settle for becoming one of her Insta followers. Have you seen Theodorsen’s amazing tattoos? Check out her Insta for some serious style inspiration. 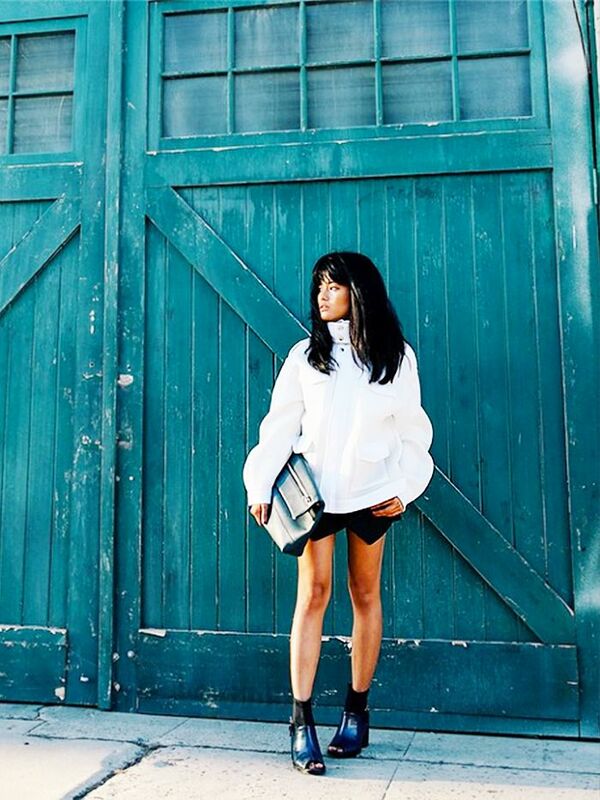 Follow this beauty for a daily dose of travel, fashion, and all-around fun. Rollinson gives an exclusive inside look at what it’s like to be a model, so why wouldn’t you want to follow? Plus, she has the best short haircut of all time. Fun fact: This stylesetter began going silver at age 16. Follow her for hair inspiration, in addition to many other fashion-related interests. What’s your Instagram handle? Share it with us in the comments below!